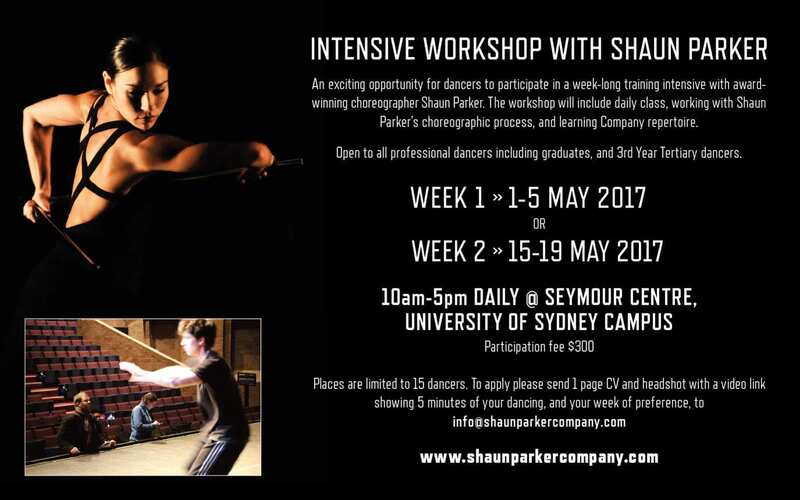 An exciting opportunity for dancers to participate in a week-long training intensive with award winning choreographer Shaun Parker. The workshop will include daily class, working with Shaun Parker’s choreographic process and learning company repertoire. Open to all professional dancers including graduates and 3rd year tertiary dancers.